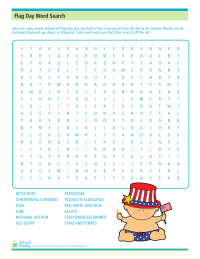 Find as many Flag Day-related words as you can in this word search activity. 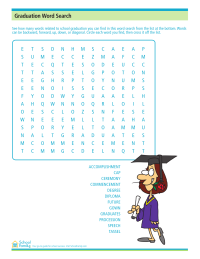 Find Graduation Day-related words in this word search activity. 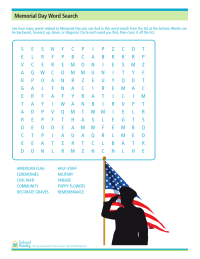 Find Memorial Day related terms in this word search activity. 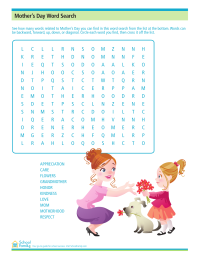 Find Mother's Day-related words in this word search activity. 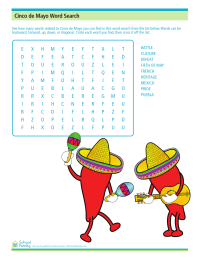 See how many words related to Cinco de Mayo you can find in this letter grid.